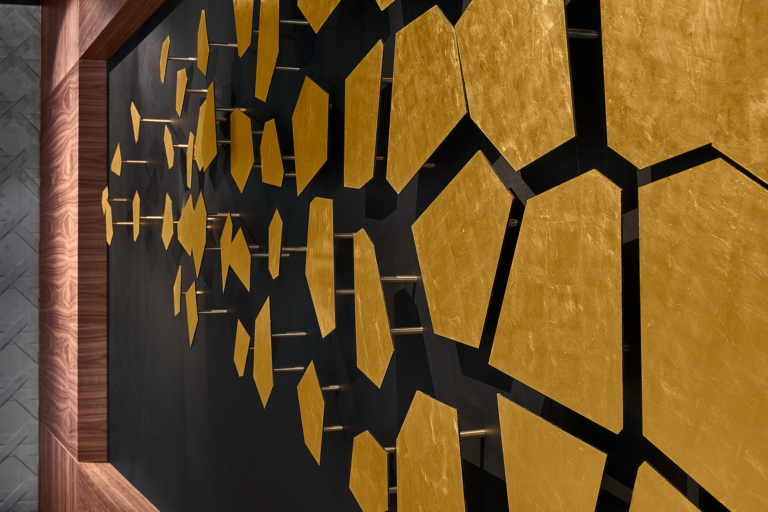 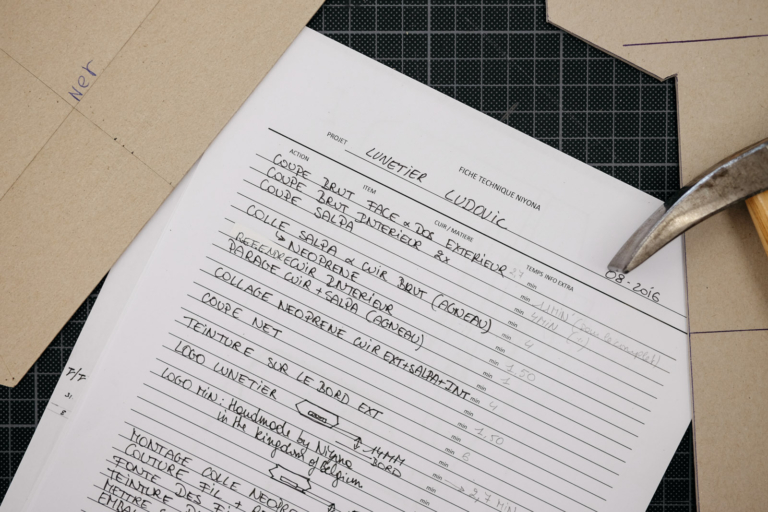 Starting concepts and projects from scratch, or combine developed products with client needs. 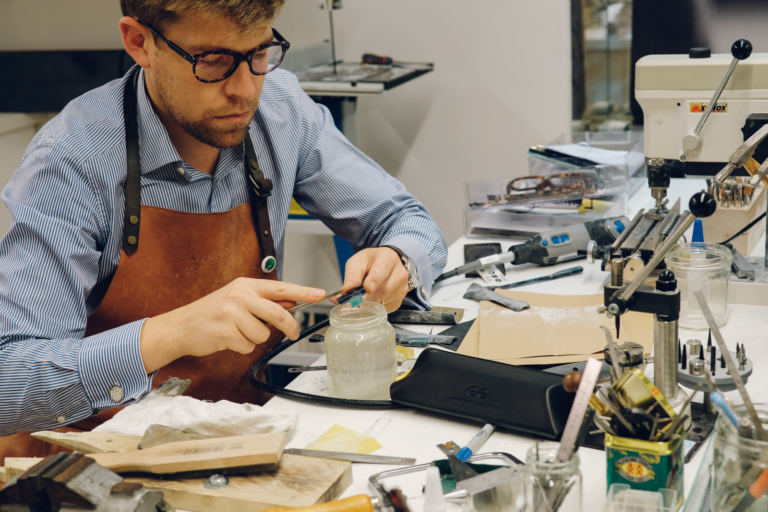 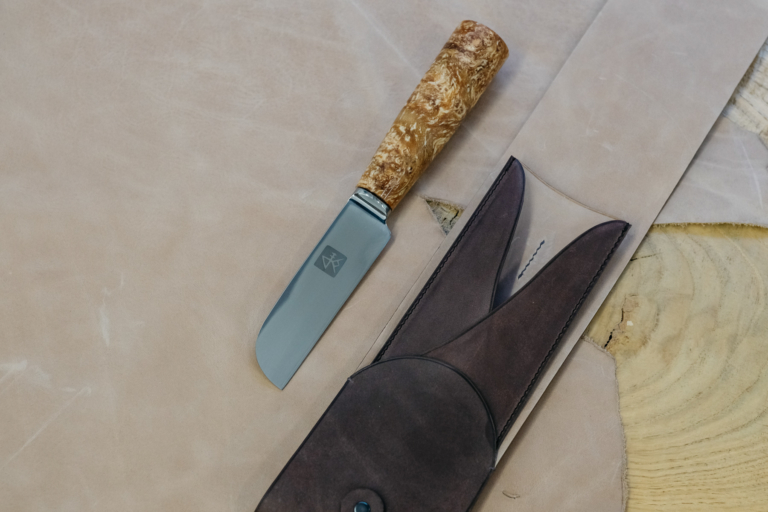 Everything is possible in our studio and we love when a craftsman, sharing the same values as we do, knock on our door with the will to work something out together (and the need of a soft leather apron for his glasses workmanship). 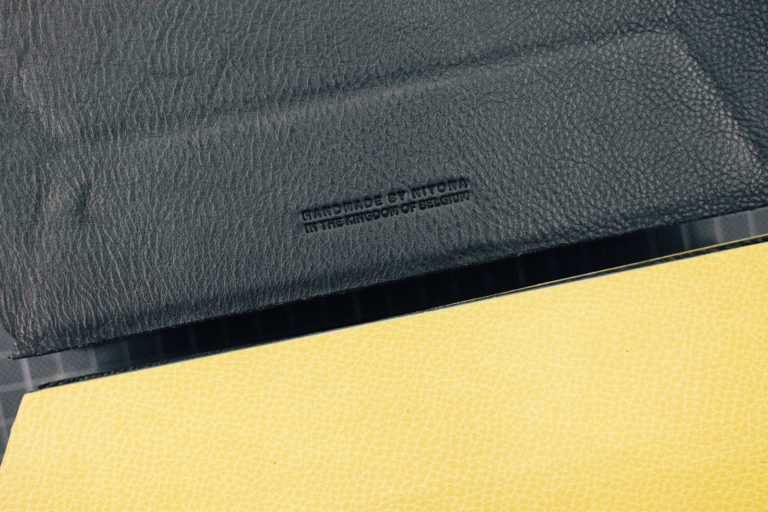 Everything started with a leather hide… a mustard yellow one. 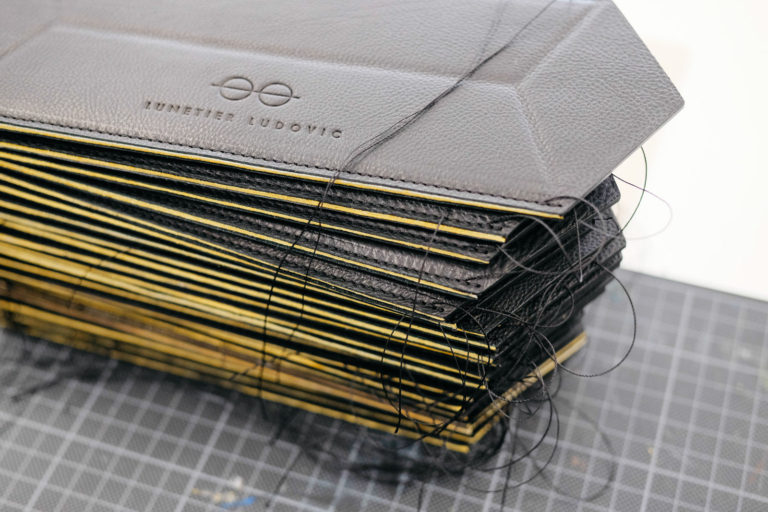 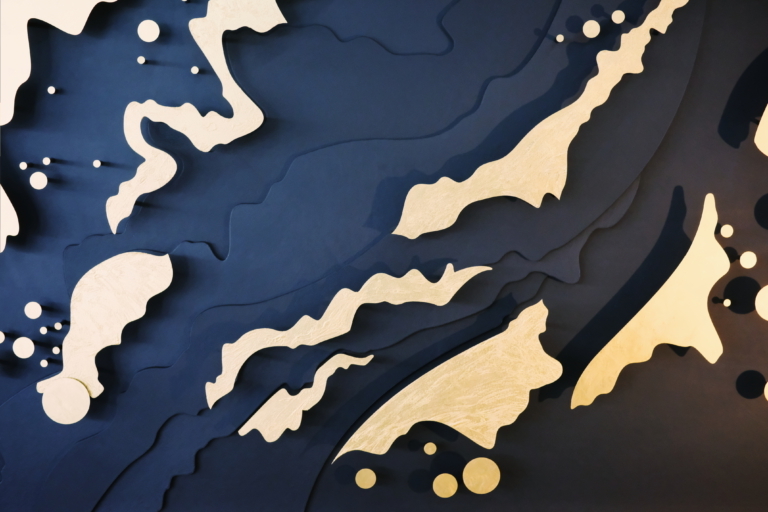 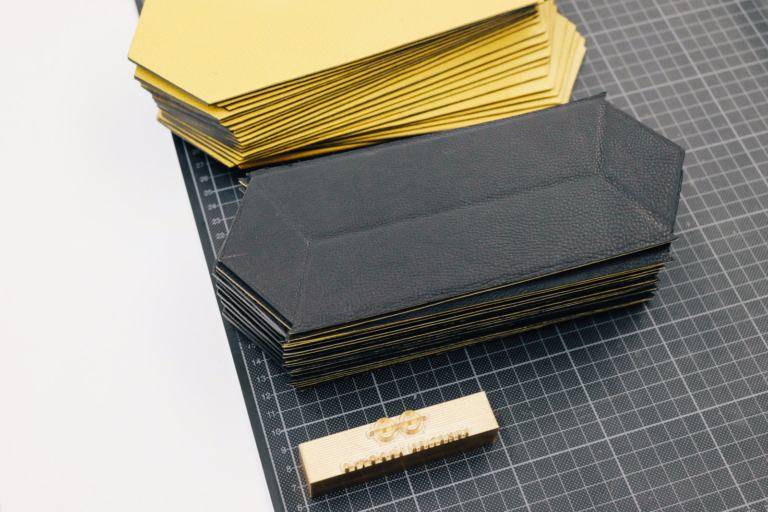 Combined with the aesthetics and shape of our leather boxes, we found the perfect match with Lunetier Ludovic’s visual identity. 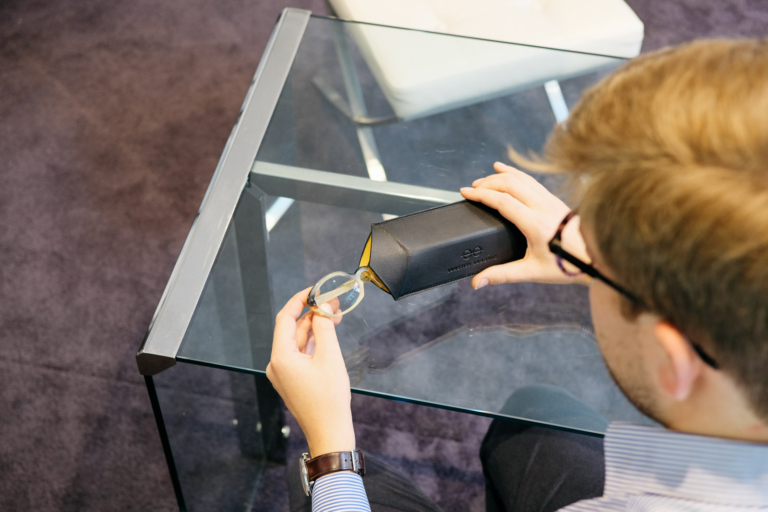 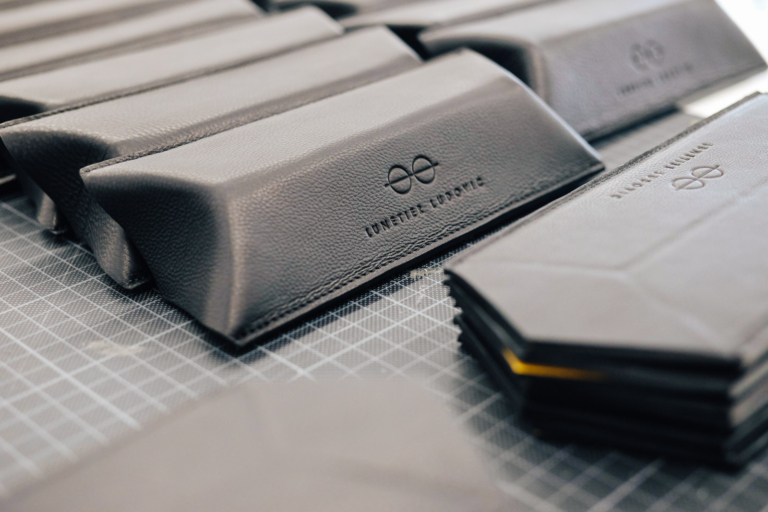 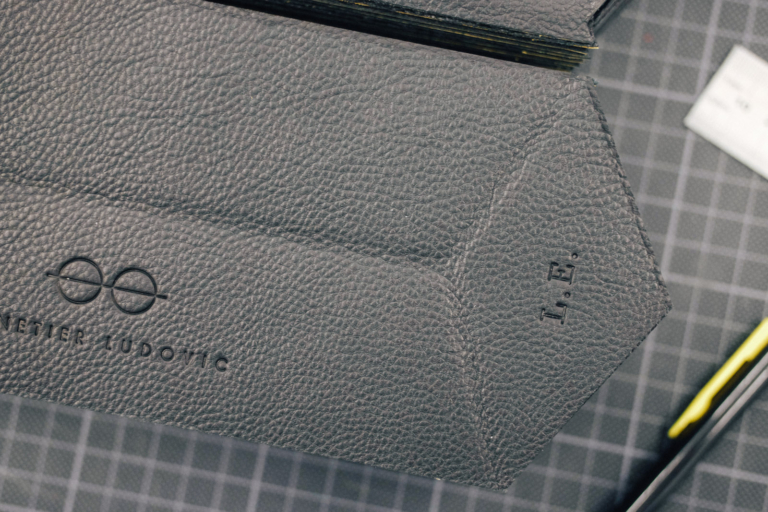 Combining colours, functionality and refined craftsmanship into this small case is just what Ludovic needed for his clients and custom-made glasses. 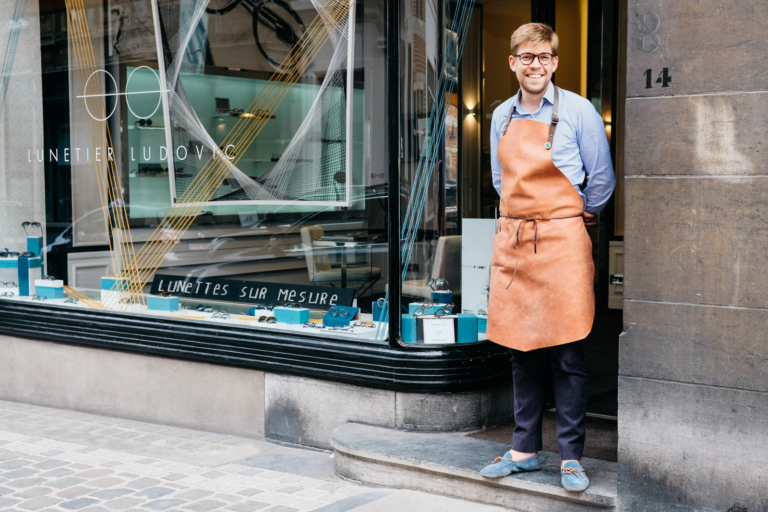 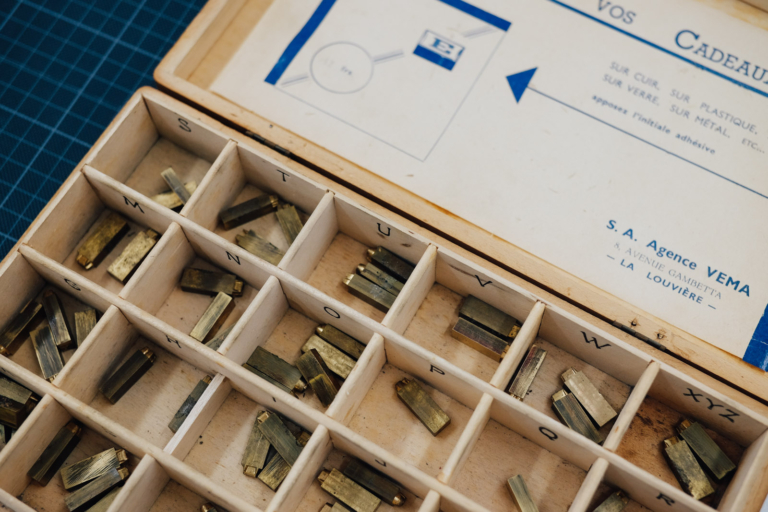 And don’t forget to ask your initials when you order your bespoke glasses at Ludovic Lunetier, we will take care of it.